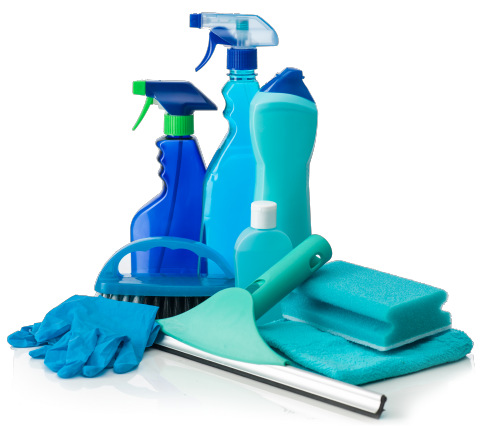 All Bright Janitorial Services is a professional commercial cleaning company. We have been providing great services at competitive pricing throughout New Hampshire and Massachusetts. Our mission is simple: To Provide the highest quality cleaning services to all clients no matter the size. We have been providing commercial cleaning services for many years bringing professional training; including hospital level cleaning services and are capable of providing services to a range of industries. They are professional and reliable - You can always count on them! Having worked with Corina for many, many years, I can assure you that she is perhaps the most professional, conscientious, and hardworking owner I know. Her work, attitude and professionalism is outstanding, and she was always reliable, on-time, and ready to take on any challenge. You simply could not ask for a better team for your professional facility, and I am happy to give her my highest reccomendation. Area Operations Manager, Jani-King Inc.
All Bright Janitorial Services may not be the biggest name in commercial cleaning services in Boston, but the business is quickly changing the game by attracting an increasing number of highly satisfied clients. That’s because All Bright takes a different approach than its corporate competitors. Instead of amassing as many customers as possible, it focuses on providing the finest quality cleaning and janitorial services to its existing customer base so that they recommend the company to their friends, neighbors, and other local business owners. This type of community-based approach to commercial cleaning services in Boston seems to be working. All Bright Janitorial Services is quickly becoming the cleaning company of choice for business offices, factories, retail stores, and other commercial operations throughout Boston, New Hampshire, and the rest of New England. No wonder our clients are raving about the quality of our services, including Philip Stevens, area operations manager for Jani-King, Inc., who said, “Having worked with Corina for many, many years, I can assure you that she is perhaps the most professional, conscientious, and hardworking owner I know. Another reason All Bright Janitorial Services is becoming the commercial cleaning services Boston trusts most is because it offers the “triple crown” that its clients want most: Reliability, professionalism, and affordability. When you hire All Bright to provide the commercial cleaning services for your business, you never have to worry about whether or not they are going to be on time, or if they are going to do a thorough job cleaning your facility while most of your employees are away. You also never need to worry if you are spending too much for your cleaning services. That’s because All Bright has the competitive prices that set it apart from its corporate competitors. It’s simple: If you want the most reliable, trustworthy, and affordable commercial cleaning services in Boston, New Hampshire, and elsewhere in New England, there’s just one place to call: All Bright Janitorial Services. We are winning over our clients one customer at a time. And now it’s your turn! Call today for a FREE estimate at (603) 518-5329.